Dexter Daily: POLL: Who Should Replace Maria LaGuerta at the Miami Metro? 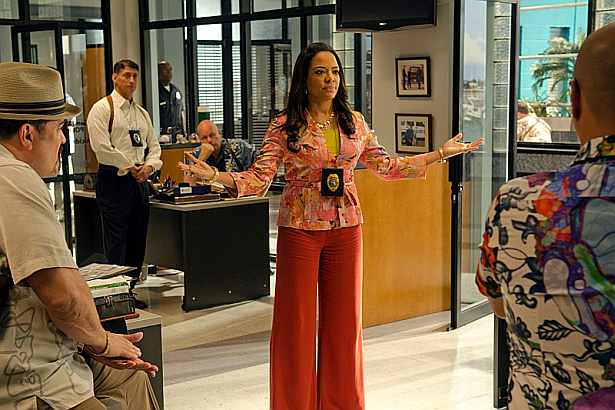 POLL: Who Should Replace Maria LaGuerta at the Miami Metro? Adios, LaGuerta. Now what? It looks like major changes are about to happen at Miami Metro homicide. Who do you think has to take LaGuerta's place as a Captain? Deb (another promotion in less than a year? ), Batista (who recently celebrated his retirement), Quinn, Matthews, or someone else? Vote below and share your thoughts and predictions in the comment section! Who should replace LaGuerta at the Miami Metro?